So the dust has settled from last weeks announcements from Orange and we hope you were equally surprised and excited by what we have been busy working on for the past two years. A lot of time and effort goes into researching and developing products we believe you as our fans are going to love. One of these products is the Pedal Baby 100 and i’m sure there are plenty of questions about this compact amplifier. 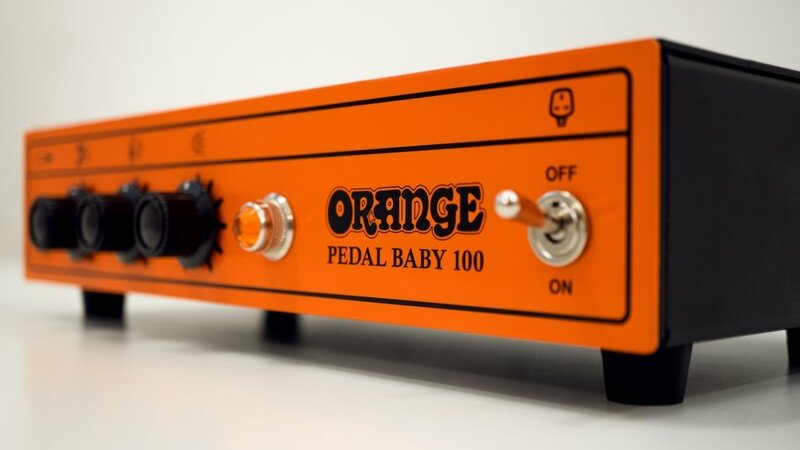 It’s a slight departure we feel from what Orange is primarily known for, so we thought it would help to show how the Pedal Baby can be used. Why was the Pedal Baby created? The Pedal Baby was designed to give guitar players the feel of an analogue amplifier incorporated into their small, touring rig. 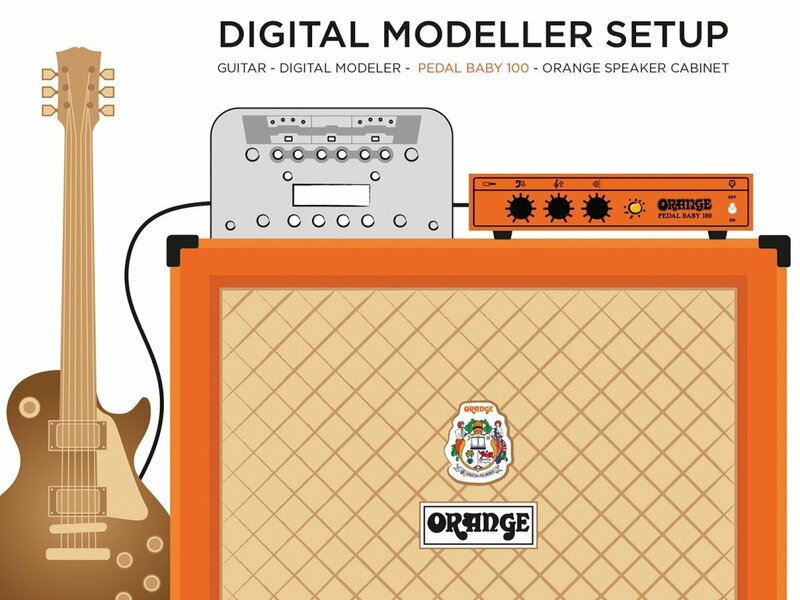 Orange is one of the most recognisable amplifier companies in the guitar amp market and we have spent most of our 50+ years building high watt, heavy amplifiers. 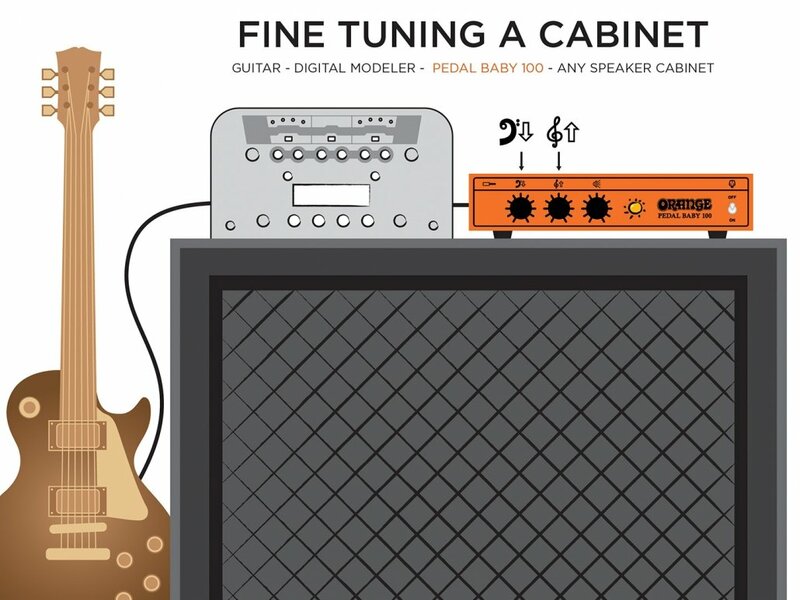 We understand though that some guitar players just want to arrive with a pedal board to the gig, or use their favourite profiles on their digital modeller. So the Pedal Baby was created to allow players to bring a compact, lightweight source of neutral, clean power. Meaning whatever you use it with, you can rely on it to bring your rig to life. So hopefully that has give you a window into why we designed the Pedal Baby but now it’s probably best to give you some more information on the Pedal Baby, so here is a quick run down of the features. What is the Pedal Baby 100? 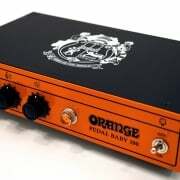 The Pedal Baby is a 100 watt Class A/B neutral power amplifier, it is built for the road, fly dates and anything the modern musician can throw at it. Its lightweight, small and able to push out up to 100 Watts into 8 Ohms! The front panel has EQ controls, so you can fine tune your treble and bass setting quickly and easily. If you are the type of player who spends days building the “perfect” pedal board and can’t wait to take your “work of art” out into the gigging scene, then the Pedal Baby could be perfect for you. You’ve got your perfect pedal setup but your stage sound is still missing something? Well the Pedal Baby can give a transparent power source and lift all your pedals sound, you don’t have to rely on the venues amplifier, which lets face it, is always in need of TLC. We know there are plenty of players who don’t want to play big heavy valve amps and want all their effects and amps in a rack mountable solution. The Pedal Baby can be used with your Kemper, Positive Grid Bias Rack, Fractal or any other modellers to power your rigs. All your patches and profiles you have spent weeks preparing and fine tuning will sound the best they possibly can with the Pedal Baby powering them. Picture the scene, you grab your profiler rig and rush to the venue only to find the cabinet you were not expecting. Its got too much bottom end and makes your profiler sound rubbish. This wouldn’t happen with Pedal Baby, too much bottom end no issue! Use the front panel EQ to dial the bass frequencies back and when it sounds good, you are set. The Pedal Baby’s EQ settings are dialed in for guitars, so are the perfect controls to use with your guitar effects. 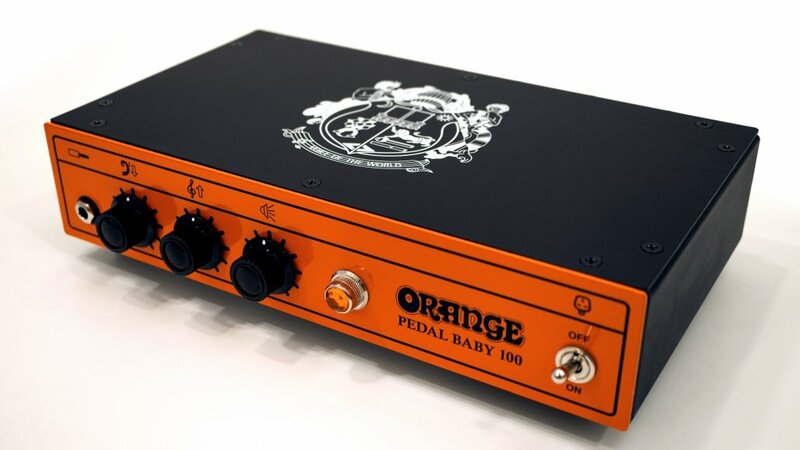 So there is a quick overview of the Pedal Baby 100 and some of its applications. We shall leave you with the product video which sees John “Denzil” Dines going through the features and we hope you get to check out our new amplifier. 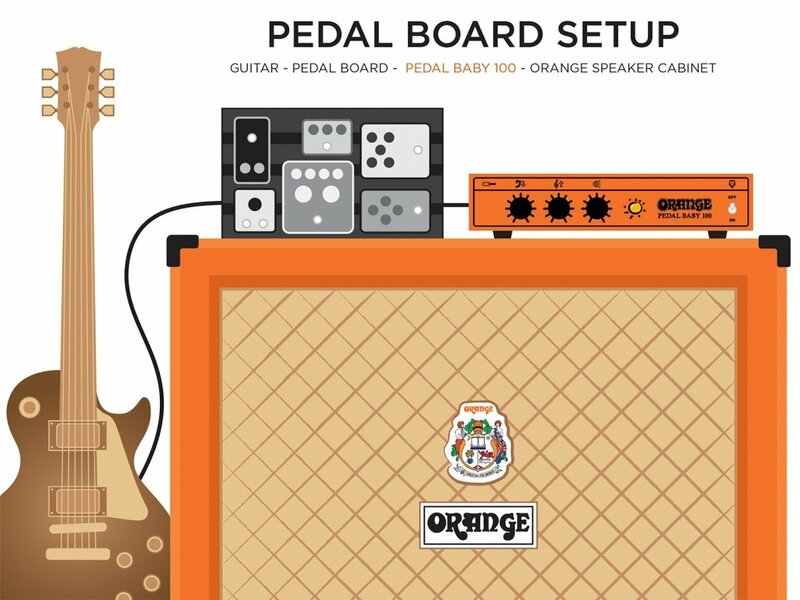 https://orangeamps.com/wp-content/uploads/2019/01/Pedal-Baby-100-Feature-5.jpg 2912 5168 Daniel https://orangeamps.com/wp-content/uploads/2018/02/Orange-Pics-logo.png Daniel2019-01-16 13:15:382019-01-16 13:17:26How would you use the Pedal Baby 100? Is it possible to put the pedal baby in a rack 19 ? Does an accessorie exist to put in ? Is there an option to mount this in a rack? Can this baby run at 4Ω?